SURIN, 13 November 2013 Although the border situation is peaceful, Thai troops will remain positioned along the Thai-Cambodian border near Phra Viharn Temple until further orders have been received, according to Commander-in-Chief Prayuth Chan-ocha. On Tuesday, Thai commanders of forces along the border in Surin met their Cambodian counterparts at Prasat Ta Khwai historic site to foster good relations and to make sure that each commander had access to his counterpart’s direct line, to ensure that communications can be made quickly in case of urgent matters. The Thai and Cambodian commanders also had lunch together, surrounded by the scenic setting of the historical site. Army chief Prayuth asserted that Thai soldiers would maintain the country’s sovereignty and protect the border area until they receive further notice. 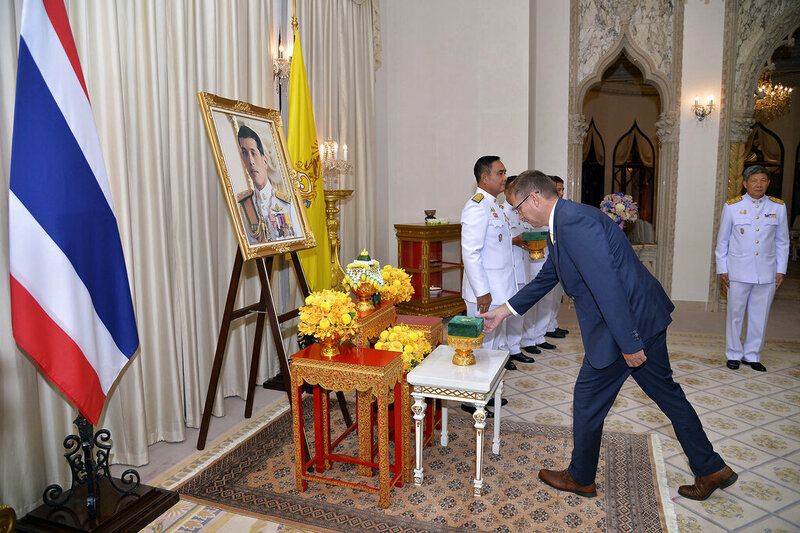 He noted that negotiations on the disputed area around the Phra Viharn Temple were to be handled by the working committee staffed by Ministry of Foreign Affairs and Internal Security officials.